The 5th Taste, what's that? I only know four- sweet, salty, sour, and bitter. The 5th taste is Japanese in origin though and they call it "Umami," or pleasant savory tastes (according to Wikipedia). Smoked Mackerel Maki. 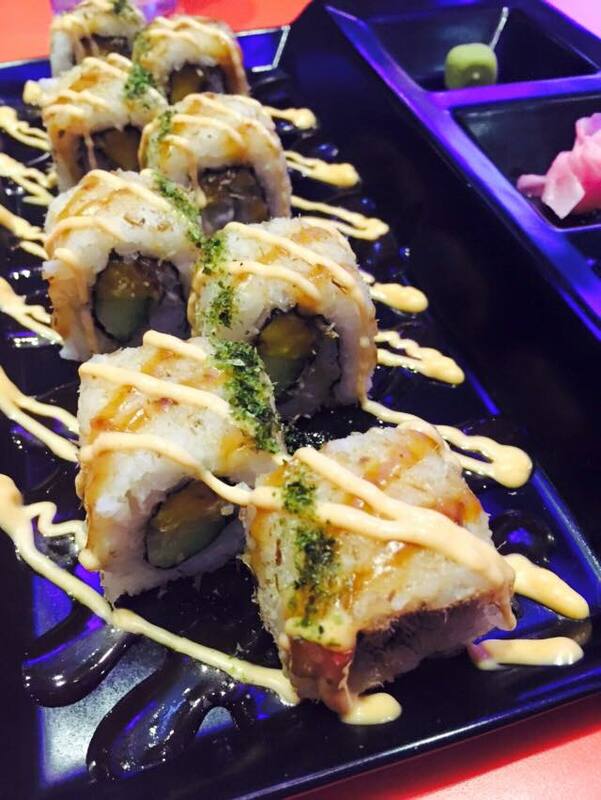 The smoked mackerel adds some "punch" to our beloved maki, staying true to its 5th taste. Kani Salad Pizza. This is love-at-first-bite. The kani salad rests on a super thin tortilla shell. 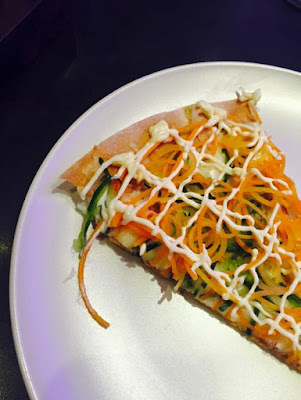 It is crunchy, pizza-ey, and literally bursting with the kani salad flavors. Thumbs up! 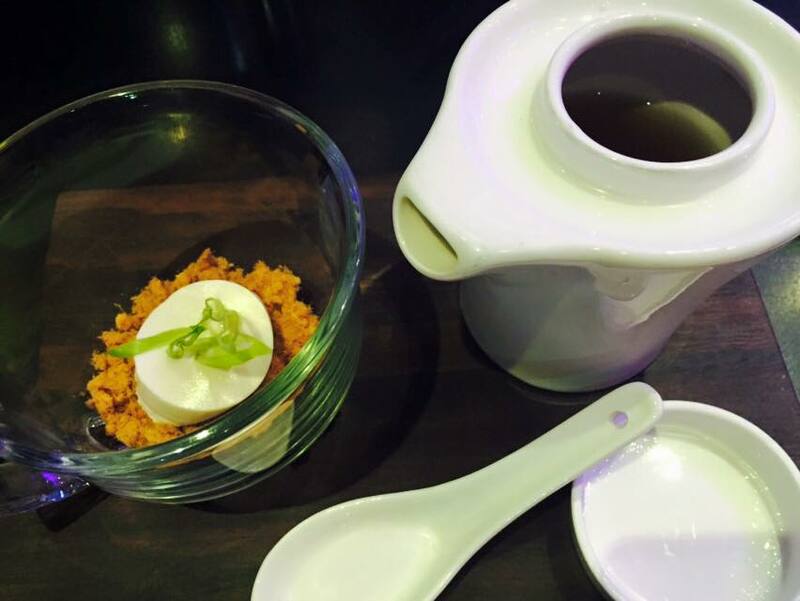 Deconstructed Miso Soup. A refereshingly creative twist to the miso soup. The soup is in the pot and you pour it on the soft tofu on a bed of pork floss. 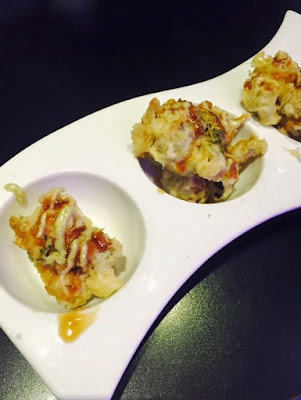 Mussels Tempura. The execution is perfect and that you'll crave for more. Crunchy tempura with fresh-tasting mussels. Jalapeno Cream Cheese Onion Tonkatsu. Anything with cream cheese is love. I haven't eaten tonkatsu for quite some time now and I'm blown away. 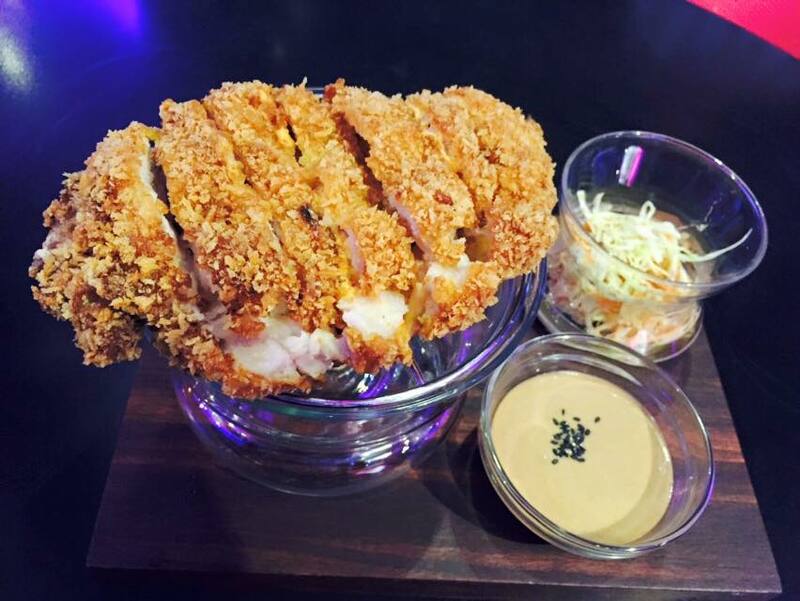 Crunchy tonkatsu with the softest meat. 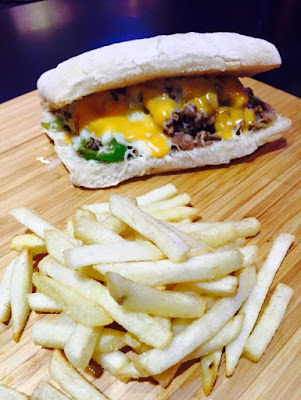 5th Taste Cheesesteak Sandwich. This is my personal favorite. A sandwich that is not only filling but delish as well. The meat is soft and made gooey with the cheese. Crispy Chicken Curry. 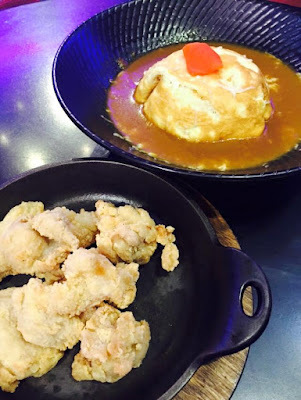 It a fusion of chicken karaage and curry. Japanese curry is different from Southeast Asian curry so its not spicy. It also has rice underneath the egg. Yum!